Flying from Southampton Airport should be a stress-free experience. We’ve put together a quick guide on where to find some of the most sought after facilities in the airport to ensure you have as smooth an experience as possible! If you are looking for information about arriving and departing flights at Southampton Airport, you can view our Live Flight Arrivals and Live Flight Departures pages which include details of flight times, delays and cancellations, plus other useful flight information. 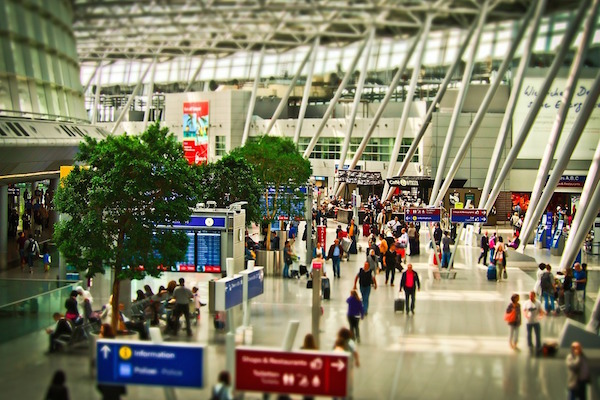 If you need to find out where to go once you get to the terminal or whether there are toilets, luggage facilities or telephones, find out all the terminal facilities that you are after. Your business doesn’t need to stop while you are at Southampton Airport. From executive lounges & business communication aids to conference centres with fully equipped business facilities, there is something for everyone. Southampton Airport has lots of facilities in place for disabled travellers and those needing special assistance. Take a look at how you can make your time at the airport easy and relaxed. Southampton Airport is well equipped to help those travelling with children. We also have tips to help you keep the kids entertained. Explore the shops and restaurants Southampton Airport has to offer in the terminal, to help you make the most of your shopping & leisure time at the airport. Find out about what travel money exchange options you have, for example where you can exchange your cash at Southampton Airport. Booking into an airport hotel is a great way to catch a few extra winks before your onward journey or for extending your trip by a day! There’s quite the selection of hotels close to Southampton Airport; be sure to check out their latest deals and book in advance for the best rates. From the luxurious Grand Harbour Hotel to everyone’s favourite Holiday Inn, there’s a hotel for all budgets. Arriving at Southampton Airport and want to continue your trip in a hired vehicle? Car Hire services from Southampton Airport are supplied by leading car hire providers, and allow customers to benefit from lower rates if booked in advance.